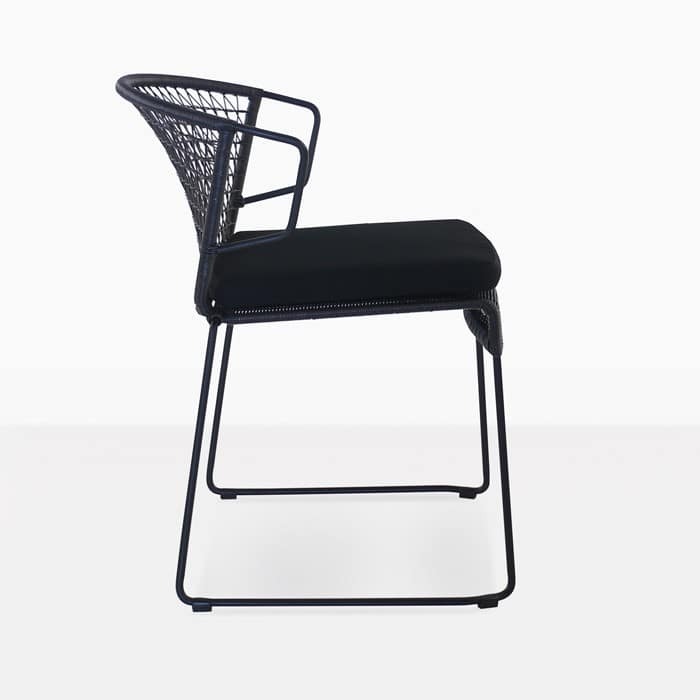 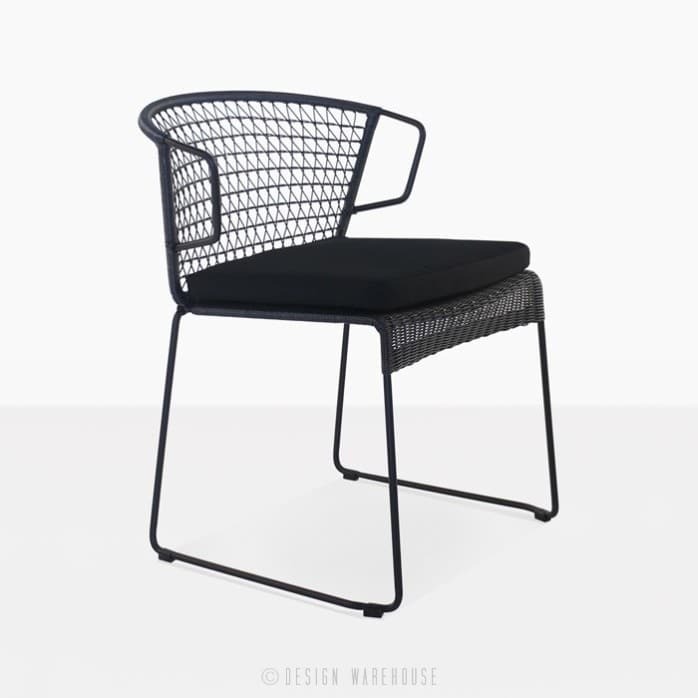 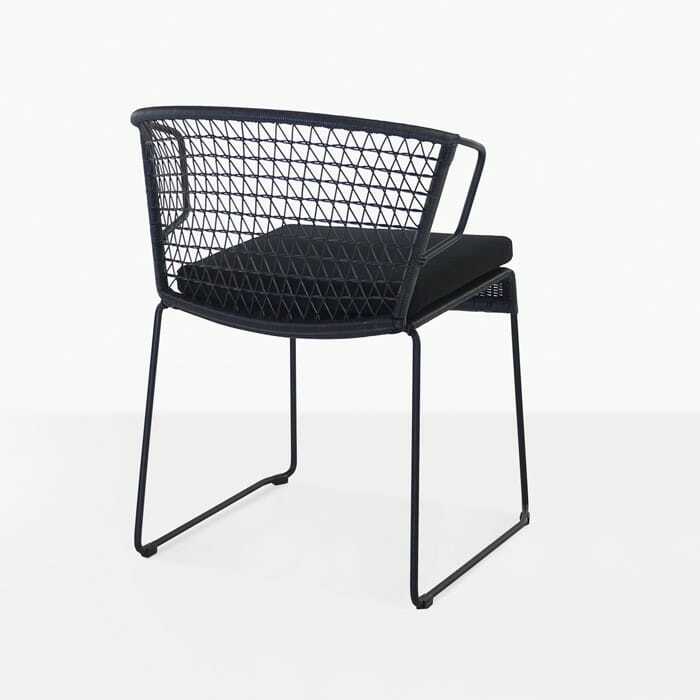 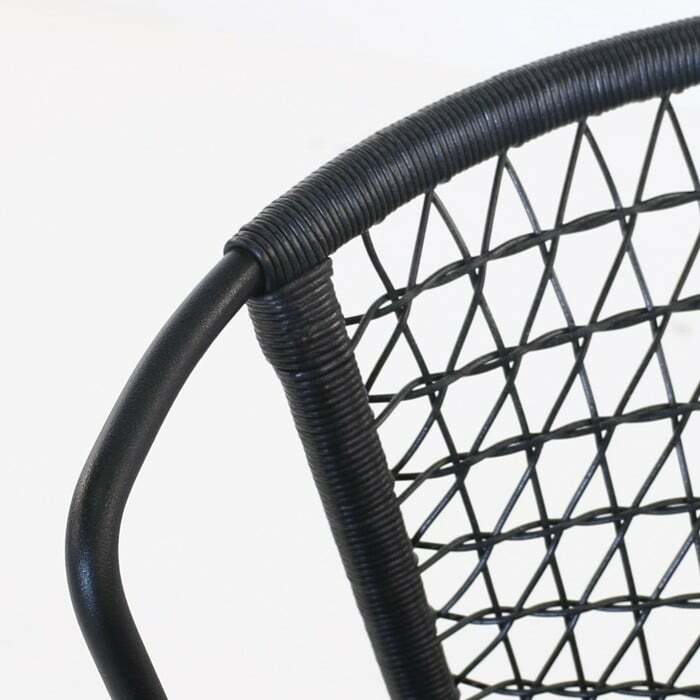 Create a stunning and stylish outdoor dining space with our Sophia chair in black wicker. 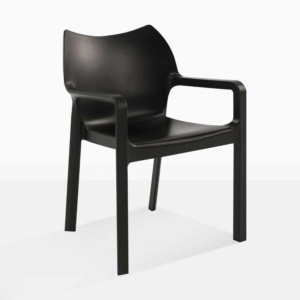 This chair is modern yet also has a warm, inviting whimsical feel that is contagious and begs to be admired. 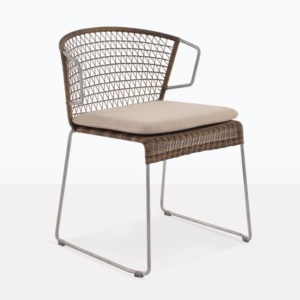 This uniqueness along with the high quality materials make this a great choice for outdoor dining. 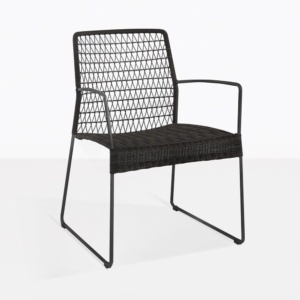 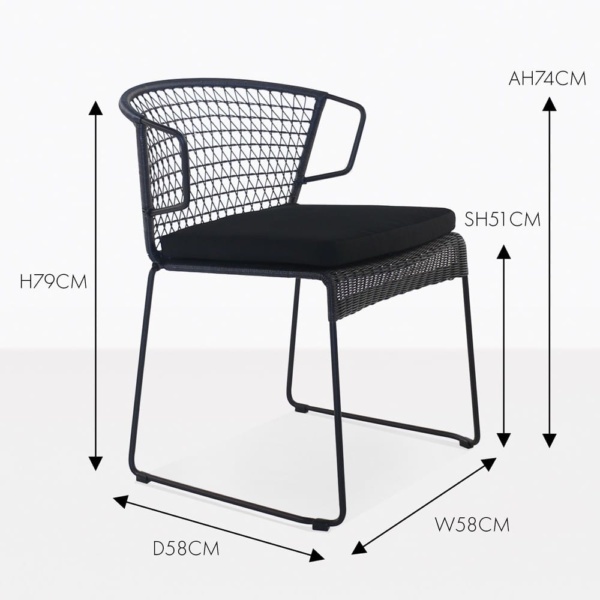 The powder-coated steel frame and synthetic wicker is strong and durable and great for outdoor use. 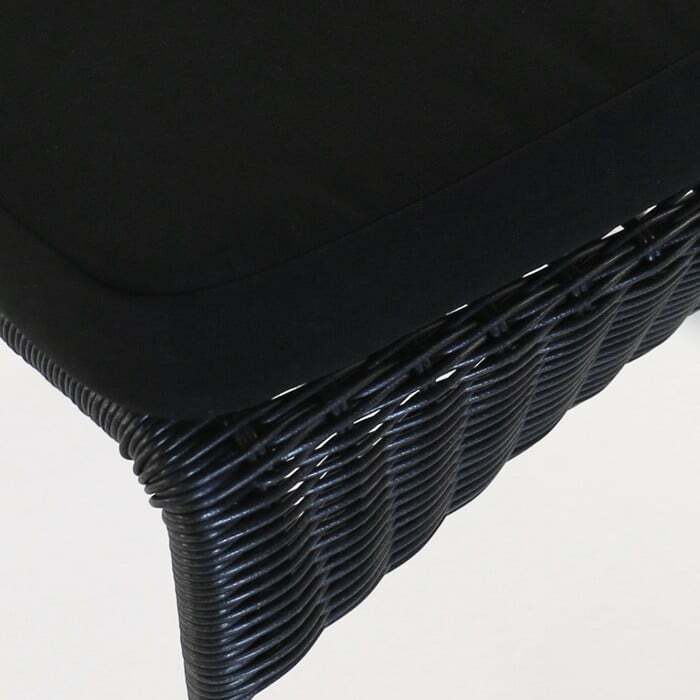 It is topped with a Sunbrella seat cushion that provides that extra bit of comfort you need for long delicious meals with friends and family.